Dr Jerry Schwartz’s Crowne Plaza Hunter Valley has upped the ante in the technology stakes, installing the latest electronic locks and security systems. The hotel has successfully implemented several of Assa Abloy Hospitality’s innovative security technologies, including Assa Abloy Hospitality Mobile Access, VingCard Signature RFID electronic locks and the Visionline online platform. As part of an initiative designed to reposition the property as a technologically advanced resort, management sought out innovative technologies that utilise mobile solutions to allow for keyless entry. “Assa Abloy Hospitality’s solutions have been at the forefront of the industry for years, allowing hoteliers to create innovative experiences while utilising the latest technologies,” said Crowne Plaza Hunter Valley Chief Engineer, Paul Bullock. “We knew its mobile solutions would be able to go to work for us in a way that positioned our property as technologically advanced, in order to create a new type of customer experience while increasing property security,” he said. 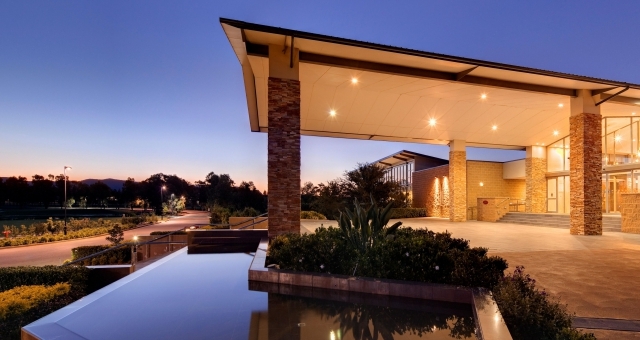 Since the recent installation, Bullock said Crowne Plaza Hunter Valley had already seen significant positive results. He said with keyless entry, guests are now able to conveniently enter their rooms or private villas with their mobile phones, without having to keep track of a physical key. Bullock said hotel staff have also seen less guests requesting physical keys now that they have the ability to enter their rooms with a swipe of their personal mobile devices. “Mobile Access is already making a difference in the guest experience, offering an innovative way for guests to access their room,” he said. “It also eases congestion at check-in at peak periods, improving staff efficiency and the overall guest experience. “Being among the first hotels in Australia to partner with Assa Abloy Hospitality in launching mobile key solutions means that we are at the cutting edge of hotel technology, and we are already seeing the benefits,” Bullock said. Likewise, Bullock said placing a priority on guest safety with the installation of Assa Abloy Hospitality’s Visionline online locking solution, resort staff also now have the capability to remotely monitor all entry activity from one central location. He said with this feature, management can control who has access to certain areas and when and if it is ever suspected that unauthorised entry has occurred, management can remotely deactivate or restrict access, further increasing property security.